In the times when companies are looking to become lean and stay that ways, their focus is shifting towards their core business offerings rather than focusing on all the other tasks that have to be taken care of to run an organisation. Not to explicitly mention the huge cost involved in maintaining those departments. 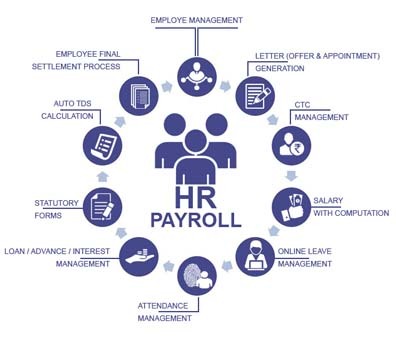 With a growing business what you need the most after financial assistance is the management of human resources and their payroll. 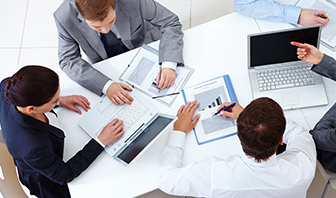 It can be a hassle to focus on the core while also dealing with HR management and the Payroll Processing activities. So, somethings are simply better when they are outsourced than done in-house. With a number of variables and allowances involved in the company’s payroll, it makes all the more sense to simply outsource it. 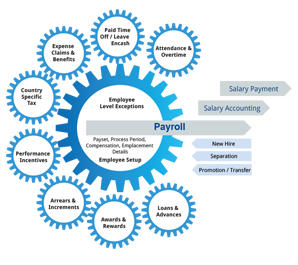 You need someone who can handle your company’s payroll and resolve all the queries that the employees have. Our simplified and user-friendly systems allow you to monitor the entire system with any hassles. It is an Employee Self-Service system that allows your employees to manage things on their own and having a unified payroll system in an organisation allows structured governance which also helps you at the time of expansion. A dedicated Account Manager who will be appointed exclusively to you will understand the underlying needs of your business and will suggest you the best measures to take care of all your needs. If all this still doesn’t offer you the Peace of mind then you can get in touch with our Customer Service Help Desk that is available 24 hours a day for 7 days a week.